BOOK THE BIG ONE NOW! This pizza is sooo BIG it can’t be delivered, so it needs to be picked up. And because it’s so special, we’re only making 2 per store, per day* Terms and conditions apply. 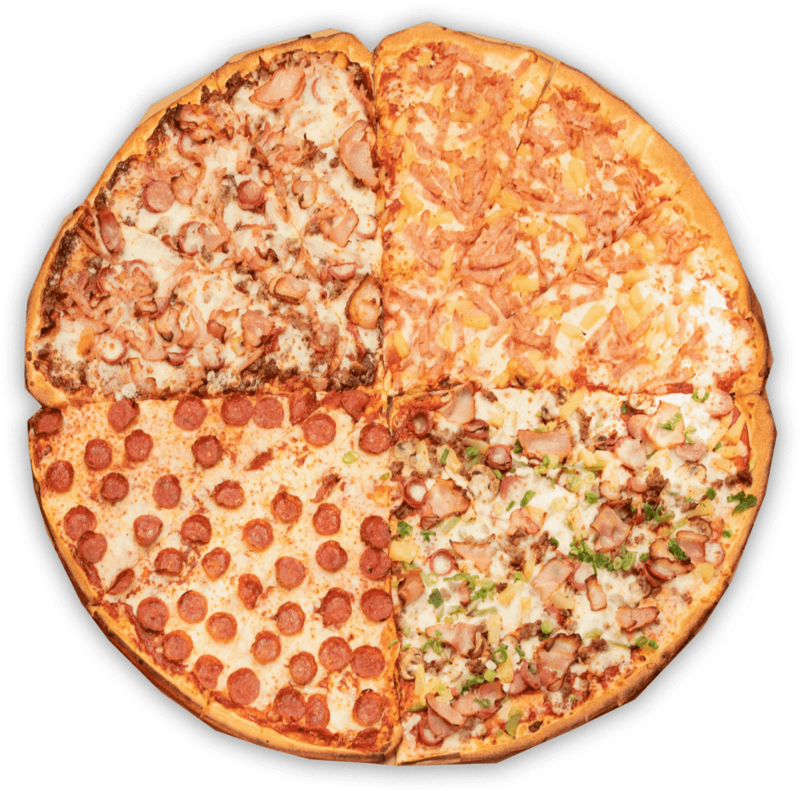 A MASSIVE PIZZA MADE UP OF FOUR FULLY LOADED QUARTERS: PEPPERONI, SUPREME, BBQ MEATLOVERS & HAWAIIAN! BBQ MEATLOVERS TONNES OF MEAT ON OUR BIGGEST SLICES EVER! HAWAIIAN ALOHA! HEAPED WITH SMOKED LEG HAM AND SWEET PINEAPPLE - IT'S A MEAL IN A SLICE! Pepperoni, Supreme, BBQ Meatlovers & Hawaiian! *10% Sunday Surcharge Applies. 15% Public Holiday Surcharge Applies. *The Big One is only available at participating stores. Limit of two “The Big One” pizzas per store per day available through our reservations system. Only one “The Big One” order is allowed per booking. You can only place an order a minimum of 24 hours before pickup from Store. Delivery not available for “The Big One” pizzas. The order must be pre-paid online to confirm your booking. “The Big One” is priced at $49.95. Standard Vouchers do not apply to "The Big One" pizzas. "The Big One" recipes cannot be customised. Domino’s website T&Cs apply to all orders. We're taking you to Domino's Online Ordering to complete your booking!